We encourage anyone interested in becoming a local unit rep to join us. (800) 231-8482, ext. 3112 or dbessmer@wsna.org. Find it under the Contract & Documents tab. WSNA Nurse Rep Debi Bessmer, BSN, RN will be the WSNA/St. Luke's Representative beginning Nov. 1. Debi comes with experience and years of practice. We know you will all welcome her and together, you will continue to make positive changes for St. Luke's nurses! Your contract has been ratified by YOU, the bargaining unit! Congratulations to all! Gains were made in wages, layoff, the Staffing Committee and many more. WSNA wants to give a big shout out to the dedicated WSNA negotiating team of nurses: Linda Spurgeon, RN, Fran Castillo, RN and Jonelle Polley, RN. A contract summary can be found at under the Contracts & Documents tab or here. We will keep you up to date on when the final contract document is ready for download. Make your voice heard by voting on the new contract! Read the contract summary now. WSNA is recommending a “yes” vote. Only members in good standing are eligible to vote. When: Oct. 19, 2018, 11:30 a.m. to 2 p.m. Questions? Contact WSNA Nurse Representative Jaclyn Perkins BSN, RN at 1-800-231-8482, ext. 3118 or at jperkins@wsna.org. Day #10 of negotiations is complete and we are happy to report we have a tentative agreement! Your negotiating team worked hard in having many effective discussions with management. We are very pleased with the agreement and look forward to sharing them with you in greater detail. It’s time to vote your proposed tentative agreement! Day 8 is complete. Your WSNA negotiating team and management both worked hard this session to continue prioritizing and working on proposals. We made great progress this day. We continue to have discussions involving wages, the layoff language and staffing. Our next day to bargain is Sept 18. We are hopeful our next session will be equally as successful. Stay tuned for the next update to follow bargaining. As we continue to meet, we continue to make progress, though slow at times. During this session, we had detailed discussions around enhancing the layoff language to improve options should someone ever be in this situation. Wages are an ongoing discussion, as well as rest breaks. We have heard from you that enhancement to education time is important, so because of this, we have made large efforts to not lose traction on this topic. We are working hard on the behalf of all WSNA represented St. Luke’s nurses. 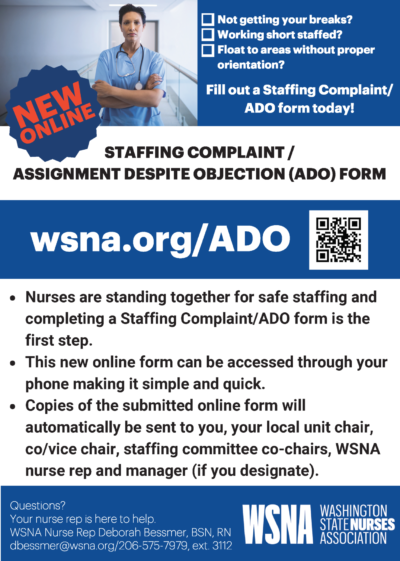 Right now, your team of nurses wants you to stay informed, involved and visible as we work for a fair contract. We need to send the message to management that we are united! Understand that we will get the best contract if a majority of RNs show support for the WSNA contract bargaining team. There are many ways to show your support. Keep reading to find out how! Aug. 30 – Your nurse rep will be in the cafeteria from 11:30 a.m. to 1 p.m. Stop by! We can help you become involved and reach the level of a motivated member. Sept. 7 - Our next bargaining session. Join, Join, Join! 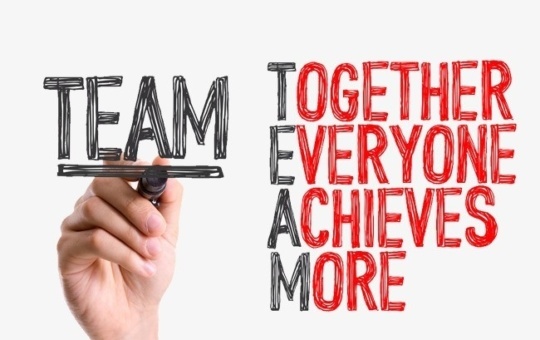 One of the best visible ways to show your fellow colleagues support for the hard work they do all year round is to join. You don’t attend a potluck without bringing a dish do you? Your tireless negotiating team continues to work hard days to preserve, and to enhance your contract benefits. Questions? Ask Linda Spurgeon (CVA), Fran Castillo (CVA) or Jonelle Polley (Infection Control). What are you willing to do to get a fair contract? Local unit meeting at the Steam Plant Grill on Aug. 2 from 5 - 6:30 p.m.
Our next day to bargain is July 6th. 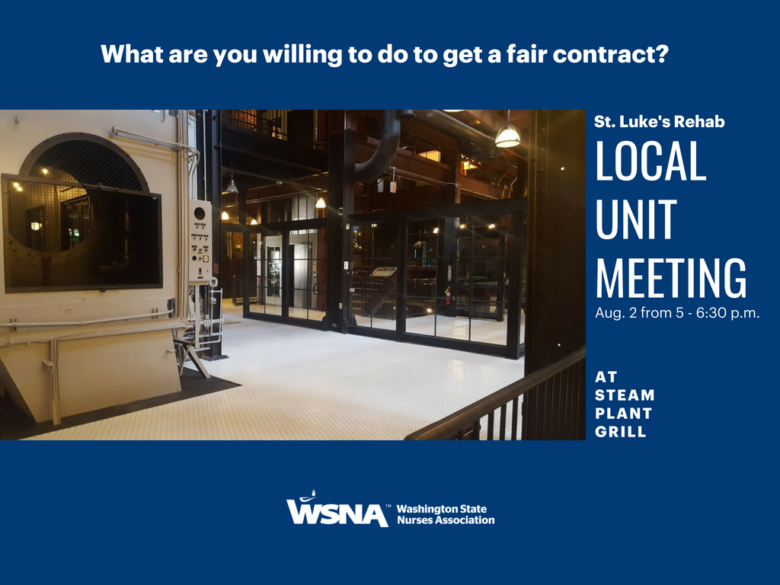 Your negotiating team is planning, a WSNA open house, to follow this round of negotiations. There is nothing better than a personal update, and the best way to receive one, is to attend your local unit events in person. Your negotiating team, and your Nurse Representative will be present for the open house. We look forward to your visit, and an open discussion about, negotiations or topics you chose! Come to the open house! 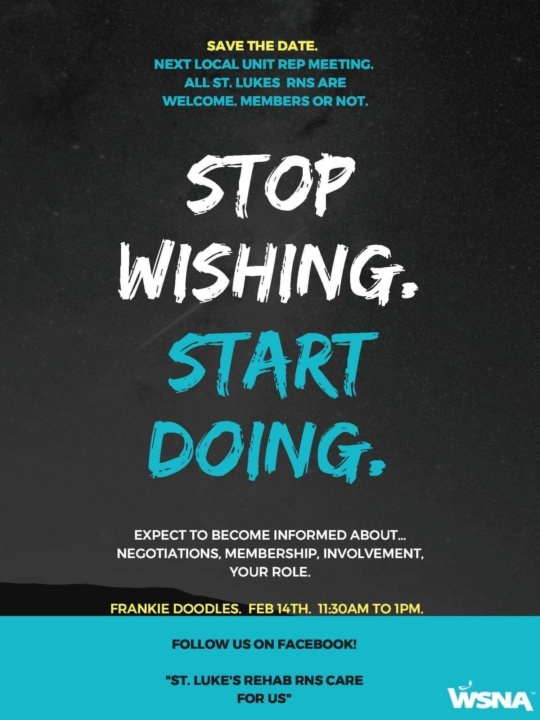 All are welcome, members or not. July 10 11:30 a.m. to 3 p.m. Room LL1 and 2. Day 5 of negotiations is complete. We have been trying to set a tone in these negotiations that will facilitate an open dialogue between WSNA and St. Luke’s management. Discussion was held on scheduling, wages and the Safe Staffing Committee, but many large issues are still on the table we have yet to get to. Next days to bargain are July 6 and July 31. We all have a role in these negotiations. If we are going to get the best contract possible, we need to stand in solidarity and support the negotiating team. Wear your WSNA buttons. There are buttons posted on each WSNA bulletin board on each unit. Attend! The WSNA open house is on July 10, 11:30 a.m. to 3 p.m. in room LL1 and LL2. We are handing out door prizes, having cake and building “Signs of Solidarity." Questions? Contact one of your negotiating team members: Fran Castillo, Linda Spurgeon or Jonelle Polley. National Nurses Week is coming. 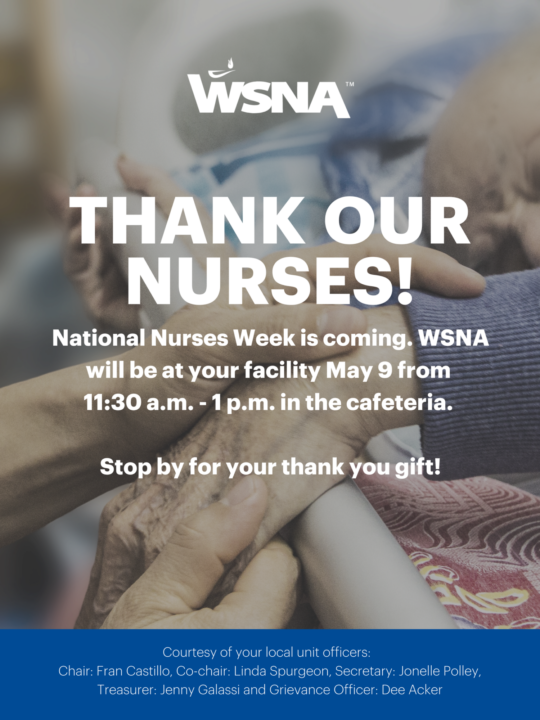 WSNA will be at your facility May 9 from 11:30 a.m. to 1 p.m. in the cafeteria. Stop by for your thank you gift!